"All Talk, Little Action: What to Expect on Tax Policy This Year"
How do you feel about the current state of tax policy in America? Read more from The New York Times about what you can expect on tax policy in 2019, then click above to share your opinion and join the conversation! 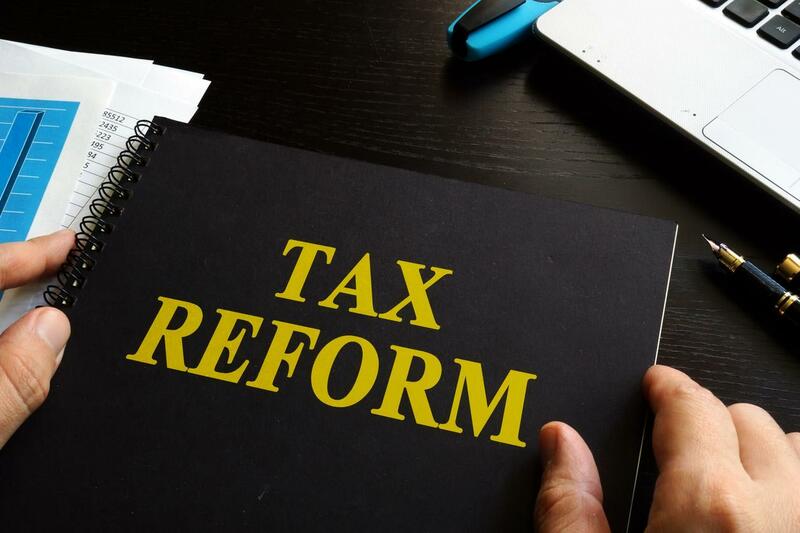 There was a brief period this month when it seemed that the midterm elections, which delivered control of the House to Democrats, might immediately shake up Americans’ income tax bills. That sense of urgency lasted half a day. On Feb. 7, newspapers reported that President Trump had said he was “open” to easing a tax law change that has been painful to many people in New York, New Jersey and California. That is the $10,000-per-household limit on federal deductions for state and local taxes, known as SALT, which was included in the 2017 tax overhaul. Early that afternoon, however, Republicans closed the door on any such talks. “The Senate Finance Committee won’t be revisiting the SALT deduction reforms made in the Tax Cuts and Jobs Act,” a spokesman for the committee chairman, Senator Charles E. Grassley of Iowa, said in a news release. Expect a lot more where that came from. Newly empowered Democrats have lots of ideas for changing tax policy, including repealing some or all of the tax law, which mostly took effect last year. But in a divided Washington, with Republicans controlling the Senate and the White House, it’s unlikely that any of those changes will make their way into law. For taxpayers trying to keep score at home, that portends a potentially dizzying year, one with much talk from Democrats and Republicans alike — and little action. But that doesn’t mean you can tune out the chatter entirely. Today’s tax debates could be tomorrow’s policy changes, depending on how the next set of elections goes. The new tax law has been contentious — and fragile — since Republicans raced it through Congress in less than two months. No Democrat in either chamber voted for the law, making it extremely vulnerable to extensive change, if not outright repeal, should Democrats gain complete control of the legislative and executive branches in Washington. Adding to that vulnerability is the law’s relatively low popularity. After a brief high shortly after enactment, the tax-cut measure has failed to attract the support of a majority of Americans in polling. Many Democrats won House seats after promising to repeal all or part of the tax law — particularly the SALT limit, which appears to have hurt Republican candidates in high-income, high-tax districts in areas like Orange County, Calif., and the New Jersey suburbs of New York City. But since the election, those promises have been overtaken by a flurry of legislative and campaign proposals to raise taxes on the rich. Representative Alexandria Ocasio-Cortez of New York has proposed raising the top marginal income tax rate to 70 percent for people with incomes above $10 million. Senator Elizabeth Warren of Massachusetts, a presidential candidate, recently unveiled a plan to levy a 2 percent annual wealth tax on Americans with a net worth exceeding $50 million. And Senator Kamala Harris of California, who is also running for president, says her top policy priority is a tax cut for low- and middle-income Americans that could cost nearly $3 trillionover a decade. You don’t need to spend a minute wondering if those plans might pass Congress this year: They won’t. Only a few tax changes are even remotely likely to affect you this year. Congress could decide to extend some expired tax credits retroactively, such as deductions for private mortgage insurance and higher-education expenses, Ms. Kaeding said. Such a move would simply continue tax credits that some taxpayers had come to depend on, which otherwise would vanish for the 2018 tax year and beyond. There’s a small chance that Democrats and Republicans might work together to slightly tweak tax advantages for retirement savings, but analysts see that as a long shot, at best. The Trump administration is also considering pleas from some conservative groups to allow taxpayers to reduce their capital gains taxes by adjusting the initial value of an asset, such as a home or a share of stock, for inflation when it sells. The groups say that change would accelerate economic growth by freeing more money for investment. Previous administrations have concluded that such a move is outside the power of the executive branch, but many groups pushing for lower taxes have been meeting regularly with administration officials, urging them to make the change. If the administration took that step, however, it would inflame Democrats’ critique of Republican tax policies, because adjusting capital gains for inflation would mainly benefit the wealthiest Americans. Economists from the Penn Wharton Budget Model project that the move would amount to an $88 billion tax cut over a decade for the top 1 percent of income earners in the United States — and a $14 billion cut for the other 99 percent. Soak-the-rich talk seems likely to escalate as Democratic candidates jockey for advantage in the 2020 presidential primaries. Increased taxation of high-income, high-wealth people can be a means of funding new social spending programs like universal prekindergarten education. It can also be a direct way of reducing inequality and wealth in the United States. At the very least, in the months ahead, you’re likely to hear a lot about millionaires and billionaires paying their “fair share.” And you will probably hear about reducing taxes on middle-class workers — who, thanks in part to the Trump tax cuts, pay a lower marginal tax ratethan they have in 30 years, according to the Congressional Budget Office. The campaign language may suggest what you can expect if Democrats win in 2020: If you’re a millionaire or a billionaire, expect efforts to tax you more. If your income is lower, you might be in line for a break from the feds. On the other hand, if Mr. Trump wins and Republicans sweep Congress again, you can expect a different vision to prevail — one that embraces the new tax law. Its provisions for individuals are generally set to expire at the end of 2025, but with a strong Republican mandate, those cuts are likely to be made permanent. For six-figure earners in high-tax states, well, things could get complicated, whoever wins the next election. Democrats will almost certainly rail against the SALT cap on the campaign trail. Repealing the cap would provide relief for people who are finding that their taxes have gone up because of it. But it would also amount to a tax cut for the rich and, as Mr. Grassley’s spokesman noted this month, that seems at odds with the economic goals of many Democrats. In all of the passion of the political campaigns, it’s worth listening carefully for clues on how that tension might be resolved. An earlier version of this article misstated the threshold above which Senator Elizabeth Warren of Massachusetts would impose a wealth tax. It is $50 million, not $50 billion.